Ever since seeing the ads and my short session at PAX, I have been aching to play more Star Trek Bridge Crew. I finally got my hands on it and without any hesitation, I can say it is everything that I dreamed of. 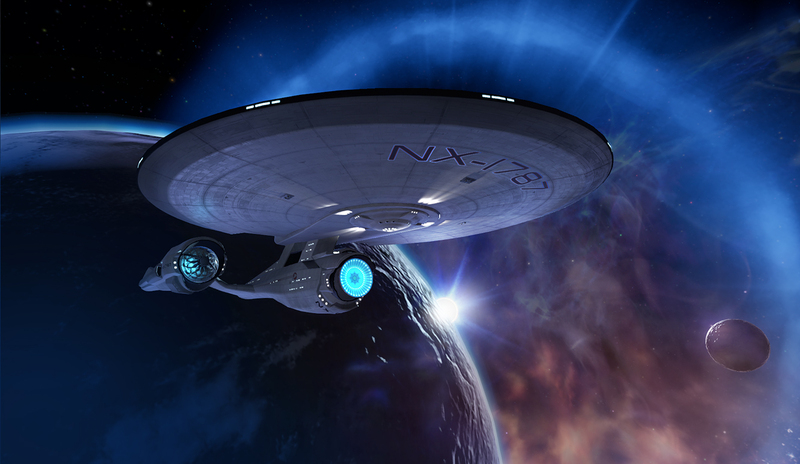 If you're not a Trekkie, it may be a bit boring, as many fan service items thrown in throughout the game will be overlooked or make absolutely no sense. You are put in command of the U.S.S. Aegis, a smaller vessel, but a good one nonetheless. 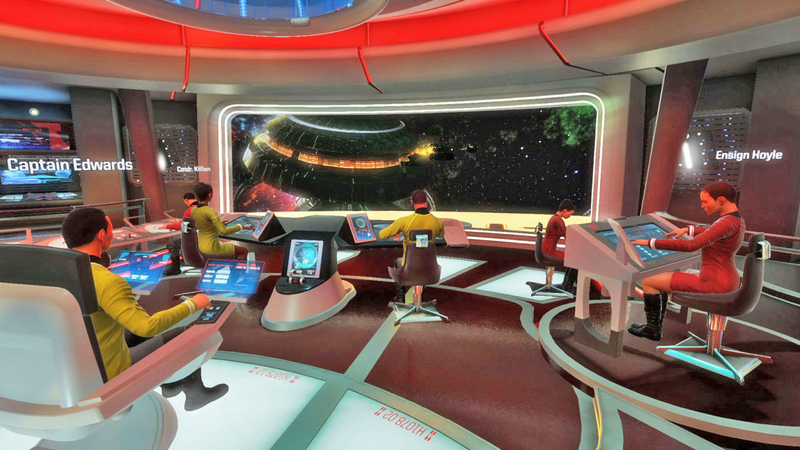 In one player mode you must play as the captain in order to fully control the ship's AI properly and in an effective manner. As you play through missions, the game provides you with objects (although in some places you can just go explore, which is awesome although you won't find much). There are also other missions to unlock and you can even play in the Enterprise, there is a great amount to do, but unfortunately a lot of it does railroad you through the story kind of like a theme park ride and ends up becoming extremely combat heavy towards the end. I would love to see a version in which there was more to just explore and treat it as an open world/galaxy style game which would add a lot of depth and development to the story. Cooperative play is neat, you can play with friends and some AI or a PUG. Playing these modes allows you to take a different role other than captain so you can fulfill the Helm, Tactical, or even Engineering stations more effectively rather than jumping through the ship like a micromanager. There is also a very unique aspect to this multiplayer in that it uses the Ubisoft network to play over rather than solely the Platform which you are playing on. This means that PC players can play with PS4 VR players! 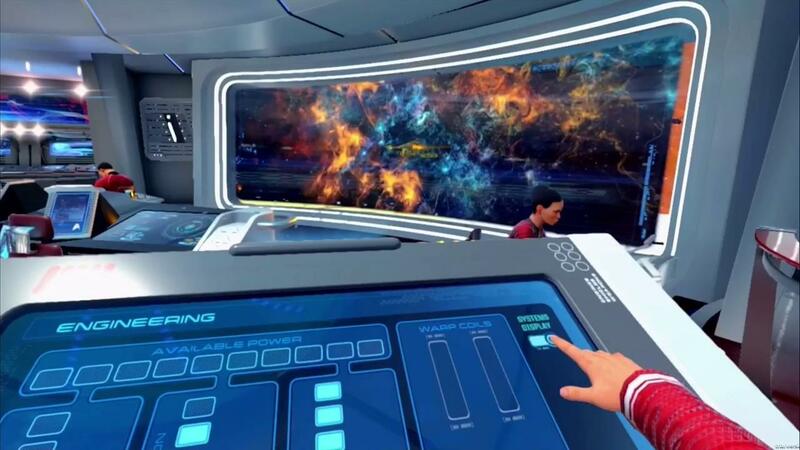 As for the VR aspect of Bridge Crew, I've said many, many times that I get terribly motion sick, I had my headset on for about an hour before needing a break. They did an excellent job of making you feel stationary while maneuvering throughout the Alpha Quadrant. While you can see your movements through the viewscreen they are thankfully quite sluggish which allows one such as myself to less frequently get sick. And if you can't take the sluggish movement, there are many options to look away from the viewscreen, focus on something else, or just close your eyes without automatically dying. Thumbs up for making a fun VR game I am capable of playing comfortably!